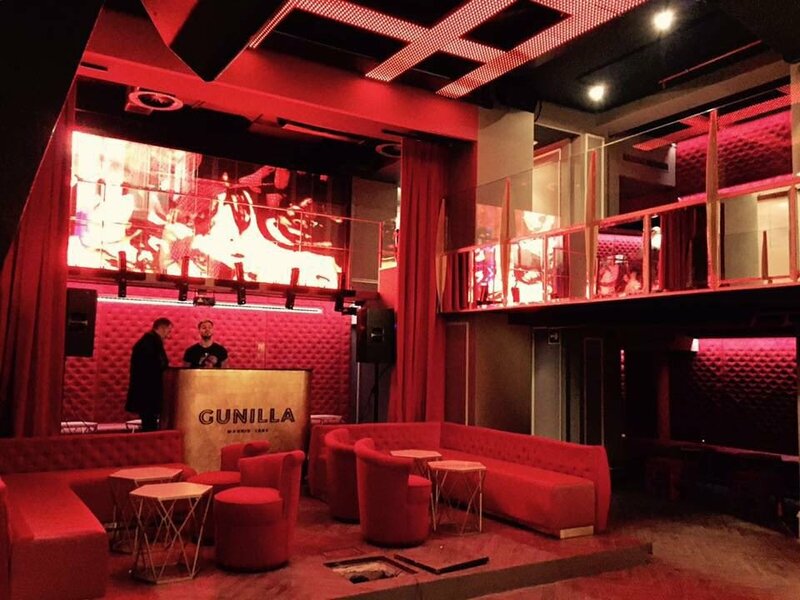 Gunilla is the newest nightclub in Madrid with a very modern touch and a sophisticated decoration of influences of the Baroque style. The Gunilla nightclub in Madrid will hit you with its high ceilings, its incredible lamps and the curtains that give it a touch of elegance and glamor. Gunilla is located in the Community of Madrid province of Madrid on a very popular street for nightlife and shopping. It is also right down the street from the National Archaeological Museum. How much is cover charge at Gunilla? 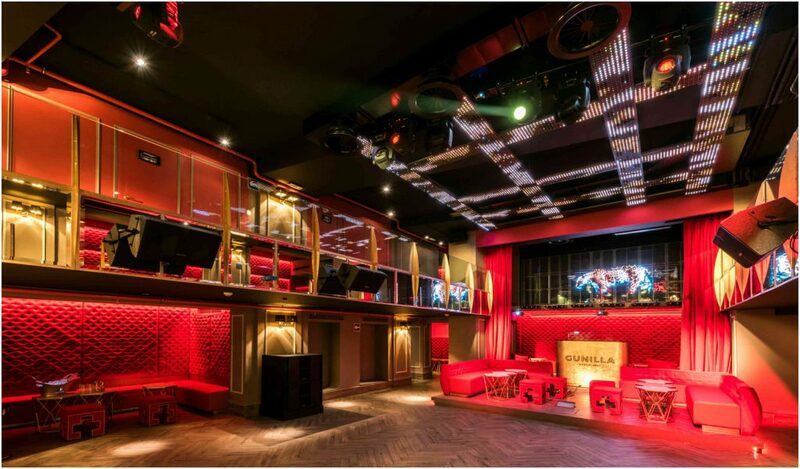 There will usually be no cover charge at Gunilla as it is a very new club but show up prepared. There’s nothing worse than getting turned away at the door! How long will I have to wait at Gunilla? The line at Gunilla can get long by the end of the night so arrive early if you want to avoid waits. Gunilla is open from 12 pm to 6 am on Thursdays through Saturdays. What are the best nights to go to Gunilla? What is the dress code at Gunilla? Collared shirt / jeans / dress shoes for guys. Avoid anything that can be considered sportswear (track jackets, jerseys, sneakers, hats, etc). If you are getting bottle service you will have some more leeway. Gunilla is definitely more lenient than some other clubs with dress code but it is better to be safe than sorry. How much do drinks cost at Gunilla? What kind of music do they play at Gunilla? Most nights at Gunilla you will hear the latest house music available on the main dance floor. Where can I find an list of upcoming events / DJs at Gunilla? You can download the Discotech app to see upcoming events, get on guestlists, book tables, and buy tickets for Gunilla. You can also check them out on the Discotech webapp.